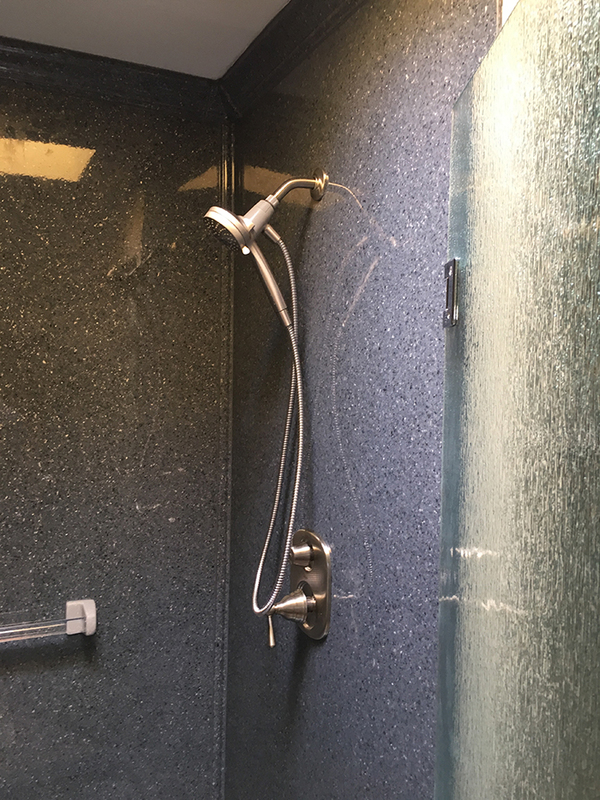 This bathroom upgrade features new everything! 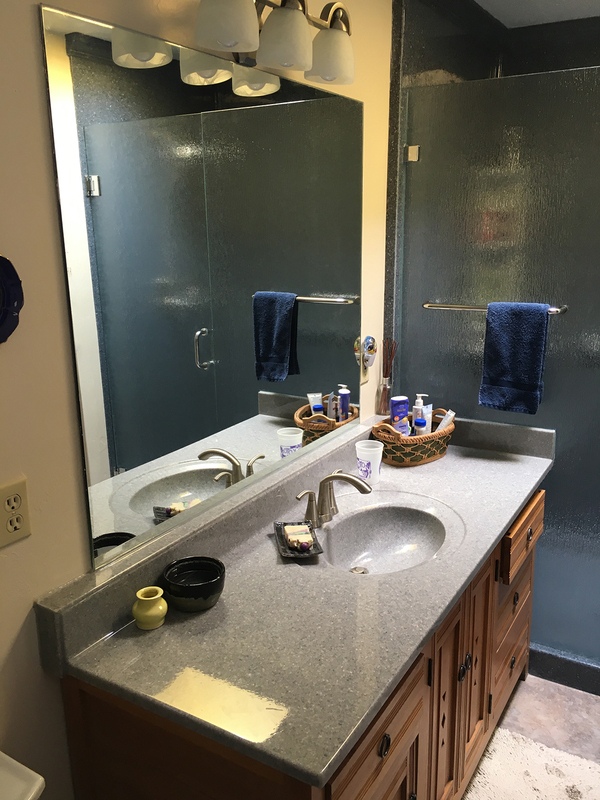 The tiled shower was replaced with solid granite walls; the vanity was customized with a new granite countertop with undermount sink. 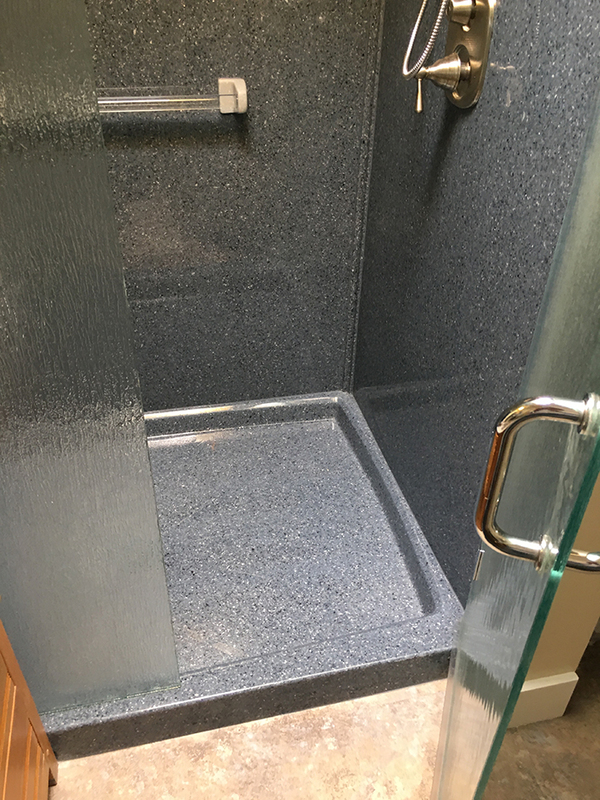 Floor also replaced with new tiling, rounding out this bathroom remodel.